Although we often wish there was one identifiable formula for career success, there isn’t. It looks different for everyone—particularly for women. You probably know better than most the transition from being a doing-employee to an influential employee, no matter your position, isn’t effortless. Regrettably, women spend the bulk of their time and attention putting all their eggs in the wrong basket—one that rarely gains them career momentum. Then, women end up wondering how they missed achieving their big future. The discouraging aspect of this is that we women are working hard, investing long hours all the while ignoring subtle, yet essential switch-points of change which will make our career pathway more rewarding and satisfying. I bet you can relate. Haven’t you felt as though you work your proverbial fingers to the bone, and yet your destination seems just out of reach? Transformation starts with four change switch-points both of thought and action. Be the Trailblazer: Companies talk a big game concerning the career development of their employees. However, it is measured by the Return on Investment (ROI) of the company—not on their employee’s growth. And while profitable organizations generate an excellent, energizing work environment, it’s missing you in the equation. More Then Credentials: Many women believe their expertise, credentials, and degrees are the critical factors for a thriving career except the reality is they are merely the price of admission. Most assuredly, they alone are not enough to open the door to each one of your hopes and dreams that extend beyond the hiring process. An entirely new, more refined, set of competencies, attitudes, and approaches are essential. They’re ones that lean more on the nuanced skills of emotional intelligence, “big future” thinking, relationship building, collaboration, inspiring others to greatness and a whole ton of additional activities that can’t be taught rather you acquire them through awareness, observation, wisdom and a whole slew of commitment. Bold Confidence: Stand tall in the blazing glory of your greatness. When you shrink, you shrink everything around you including your prospects. Contrary to what we women often believe, research reveals confidence, not talent or hard work or education is at the core of successful individuals. And such an attitude isn’t fixed, it grows through utilization. Patience Required: Switch-points of change don’t take place overnight as they require one small, intentional step after another to form solid habits. Your progress may seem awkward—three-steps forward, two steps back—as you encounter a never-ending parade of opportunity to display your improved decision-making competencies. 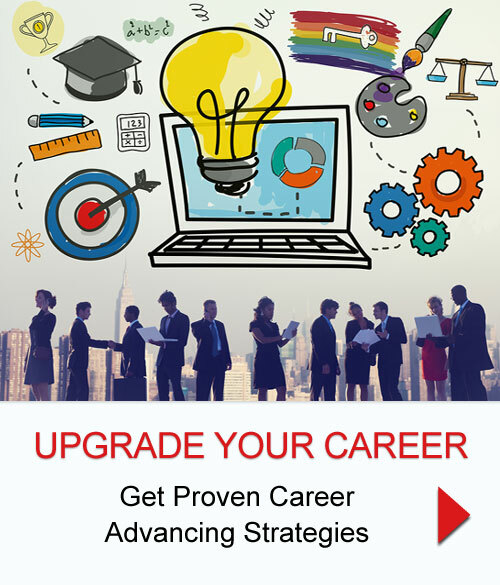 Repeating the two-steps permits you to delve deeper into the new behavior leading to career progression. Once these switch-points of change become an automatic way of thinking and acting, they will transform the trajectory of your career as they aid in aligning more closely with your desires, not someone else’s. There is no time like the present to begin cultivating them!